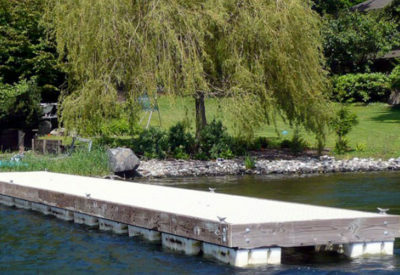 Waterfront Construction builds pre-fabricated floats to your specifications. 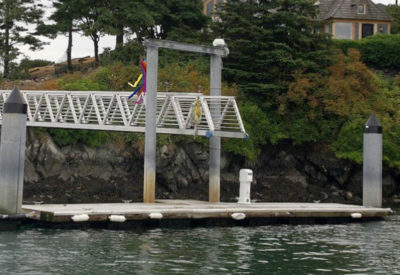 Floats are aesthetically built with high-quality materials and are proven sturdy in rough marine environments. Pre-fabrications can be designed so they can be containerized and shipped to any point on the globe. Our proximity to material and manufactured parts sources makes shipping internationally a viable cost option. Waterfront ships floats to Japan, China and SE Alaska, but can ship globally. Our unique framing system offers the highest level of unifying structure elements, built in relation to float size. This assures maximum strength and stability. Floats feature high-density plastic tubs, transverse compression rods, built-in ballast, diagonal bracing and lap jointed continuous longitudinal walers. We offer a wide array of decking choices, from Sun Walk™ grated decking panels to fiberglass, composite or fine hardwoods such as Teak and Brazilian IPÊ. 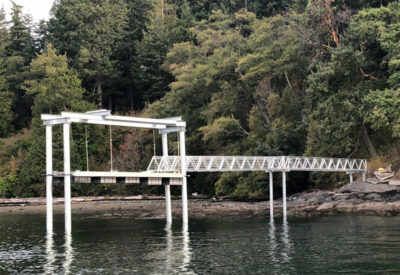 Do you need a pre-fabricated pier?